Pastificio De Sortis: A long history of love. 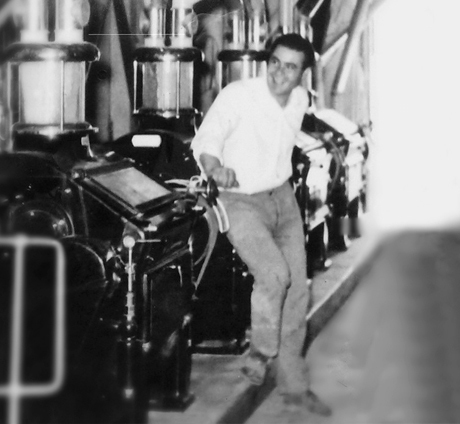 Over one hundred years ago, in Pietragalla, an idea was born, grain became wheat by love and «Papà Mulino» realized a dream and built his mill; little by little, from that dream has been looming our future. That love for semolina has grown year by year, from heart to heart, from father to child, up to 1974 when the Pastificio De Sortis was born. Semolina became pasta for love in the hands of Mr Vincenzo De Sortis, our «great father», who started to draw his four daughters' future, his beloved ears of grains. Don Vincenzo built his creature, step by step, taking care of each detail, paying particular attention to quality and, in such way, allowing De Sortis pasta to be counted among the Made in Italy excellences. De Sortis family continues to move forward in producing pasta with the same passion and decisiveness as Don Vincenzo, offering the best possible service to his customers. Leading-edge technology and equipments, wide range of products, long lasting tradition and know-how in private label production, logistics experts, strategic dialogue with high-level professionals are the main ingredients of our daily mission. This is our history, this is our job, this is our love for pasta which continues to move towards the future following the footsteps of Don Vincenzo and his dream.